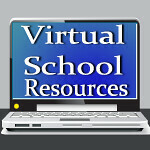 Virtual School Resources: Failing Students Graduating? It drives me crazy when I read about people who oppose online schooling. I've actually read comments from some that say it is detrimental to the future of education. In Culcutt Middle School in Rhode Island, dozens of eighth graders who failed two to three of their core subjects were allowed to graduate to high school because the principal says students who fail are more likely to drop out, according to WPRI Eyewitness News. Wait. Am I misunderstanding something here? In addition, eight of the graduates missed at least 50 out of the 180 day school year, with some of them missing half the year. There is something very wrong with this picture. If that's not enough to baffle you, how about this: the school's graduation rate increased from 48% in 2010 to 71% in 2011. It was said that several teachers were skeptical about the graduation rate. Really? Would it be so terrible to give these kids the chance to take these classes online? I don't know what the problem is at Calcutt. Do the students need to work to help support their families? Do they just figure they don't need to go as they will pass either way? I hope, for the sake of these students, someone comes in and straightens this school out. Can we clone Dr. Steve Perry?! As a parent, would you prefer to see your child pass, or learn valuable life lessons by failing if they deserve to fail? I'd love to see your comments below!